I'm on my third day of the detox. So far so good! I have completed 2 full days worth of the program. I have been so anxious to see if there is any improvement. To make sure the program works, I stayed on my regular diet. I ate whatever I wanted including sweets and carbs. The only thing I cut down is meat since I have been trying to get back to pescatarian lifestyle. The only exercise I did was 10 minute elliptical stepper and 5 minute treadmill on the first day. I also did some floor ballet stretches. As you can see, I ate more than 2000 calories per day. So I was so surprised when I stepped on the weighing scale this morning after I did number 2- I lost 1.4 lbs! Wow! wow boo, bumaba nga talaga. let's see ang effect nya in the next following days. yep yep!!! 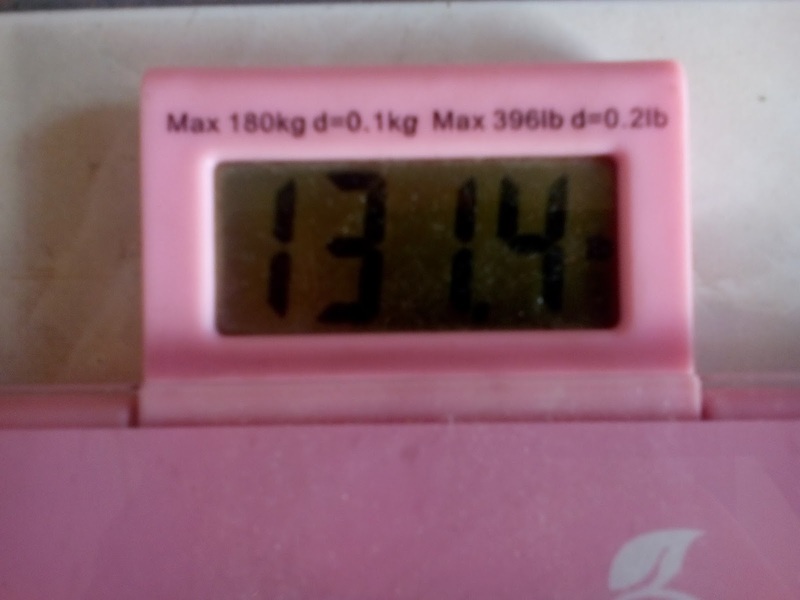 dapat mag weigh ka din!! !